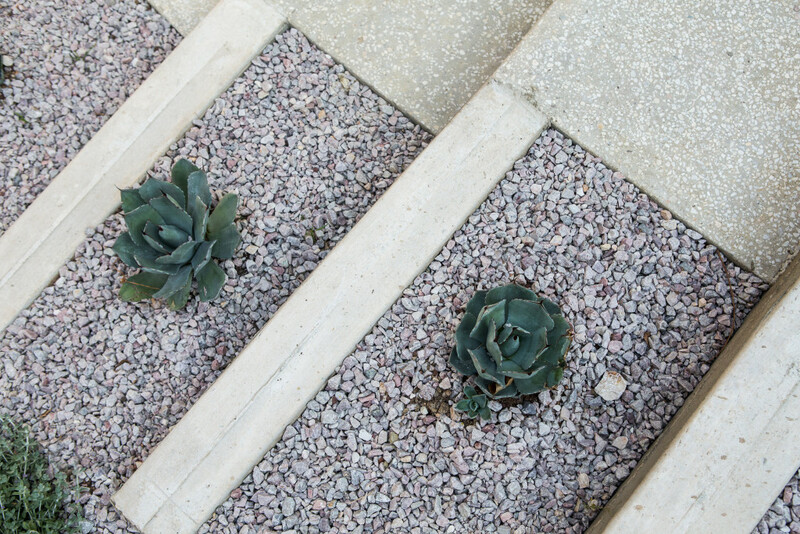 After purchasing their home, this wonderful couple wanted to make their mark! 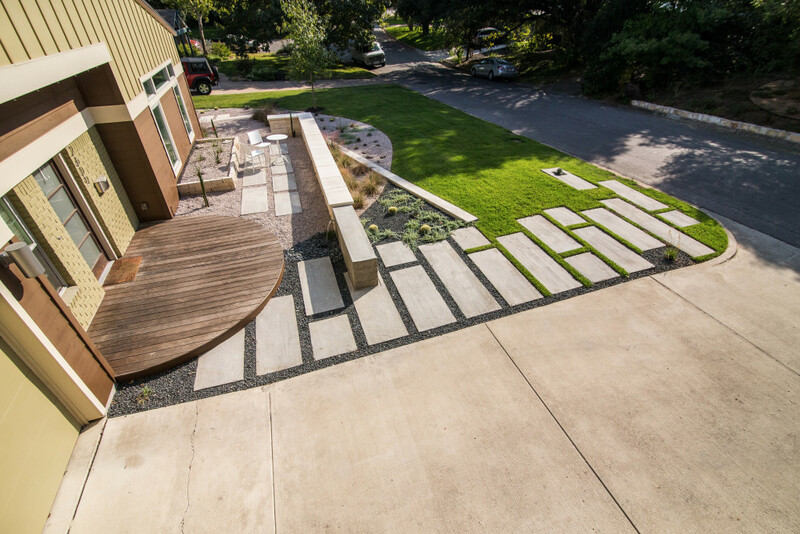 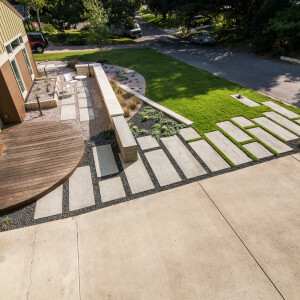 They wanted to improve the overall friendliness to their home, and that starts with the landscape! 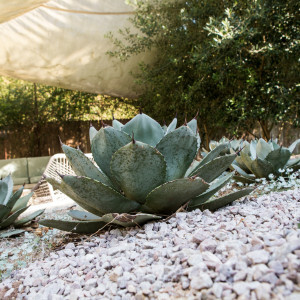 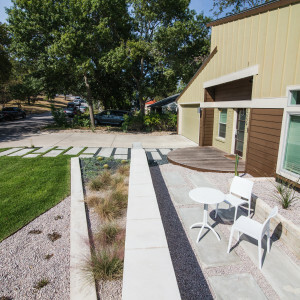 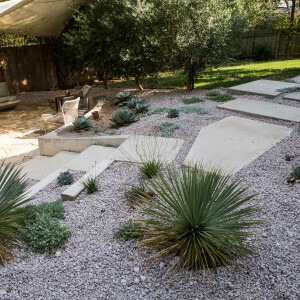 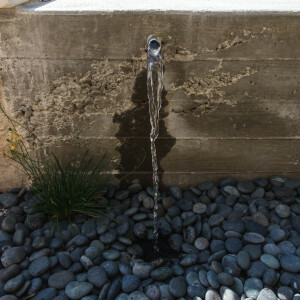 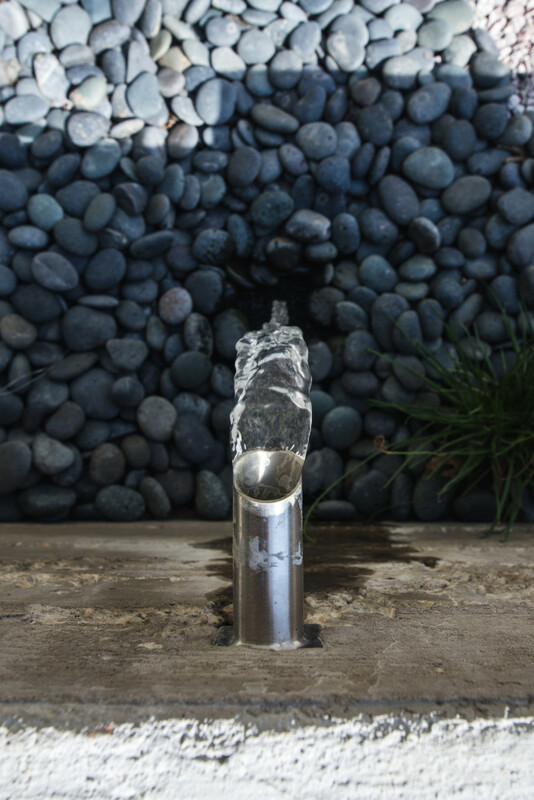 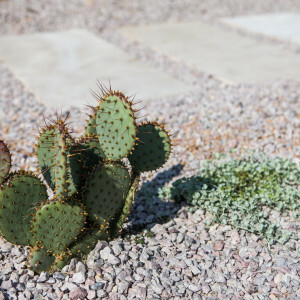 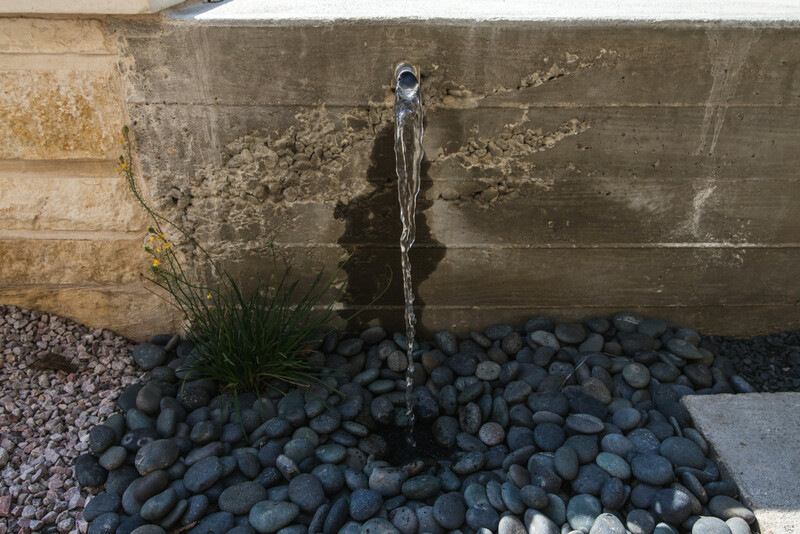 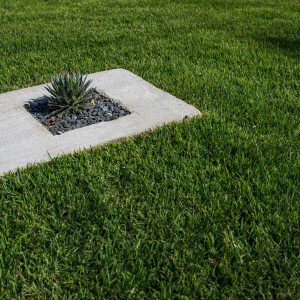 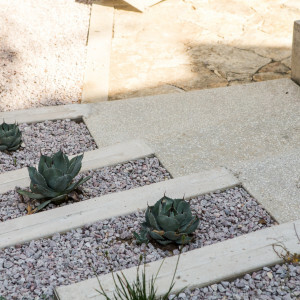 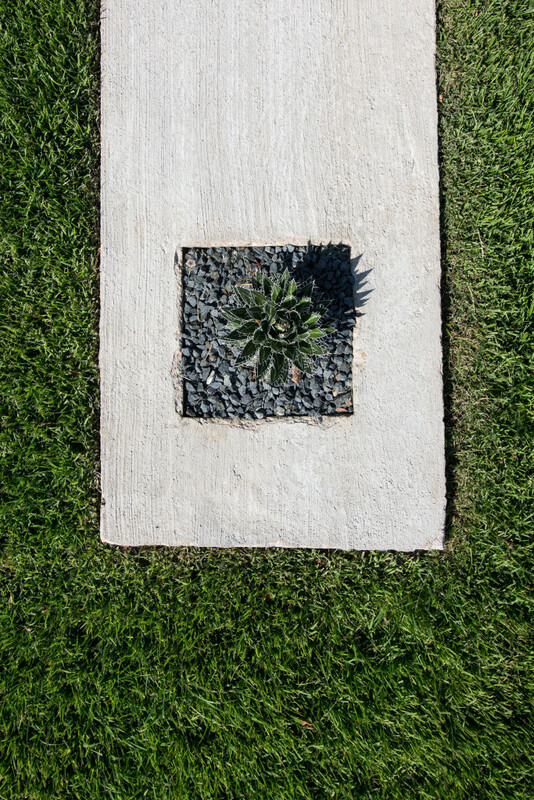 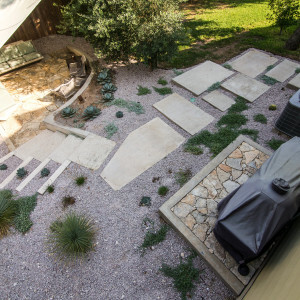 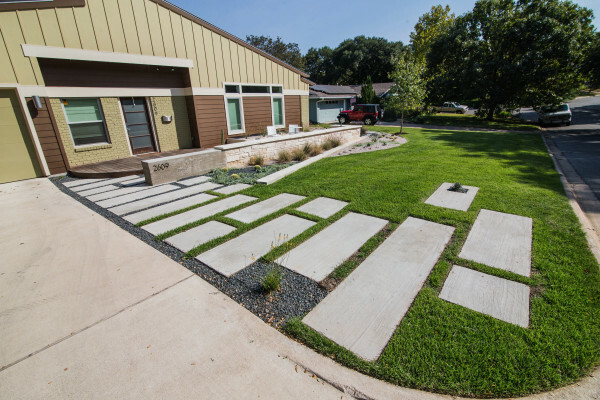 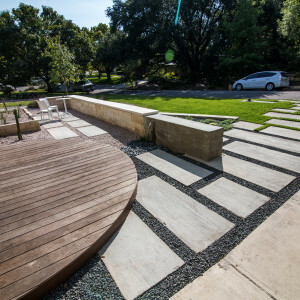 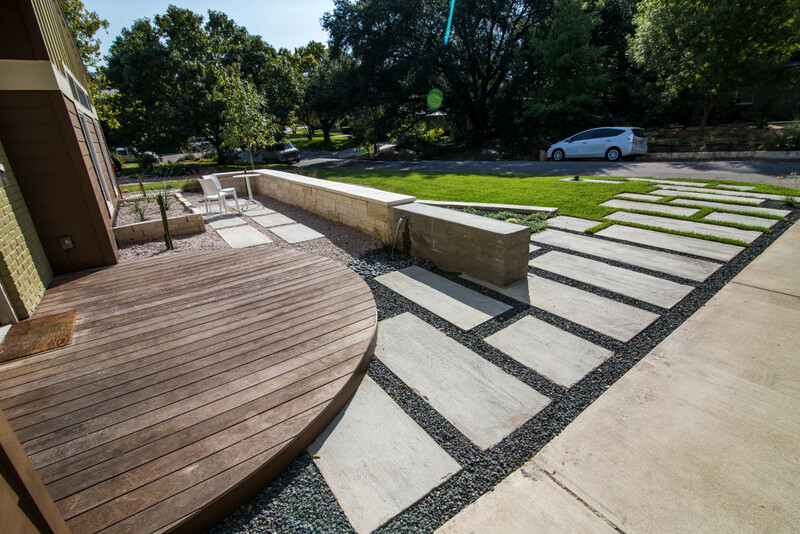 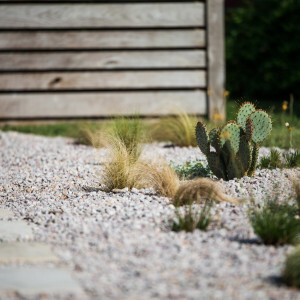 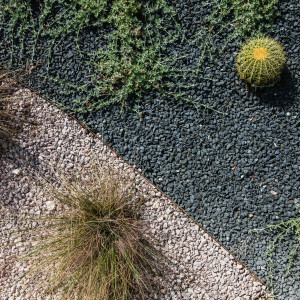 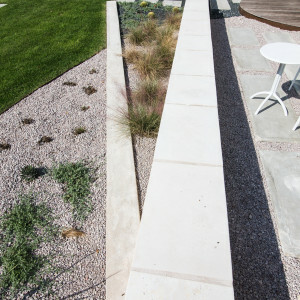 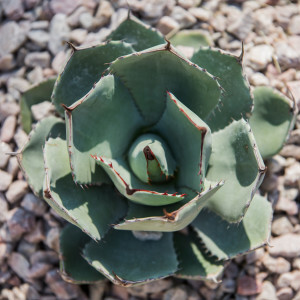 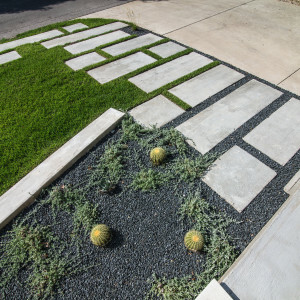 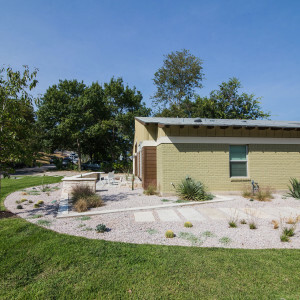 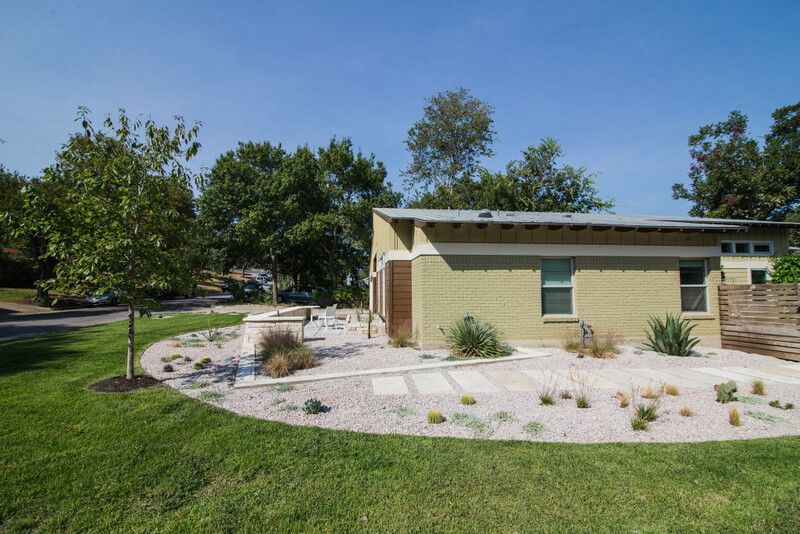 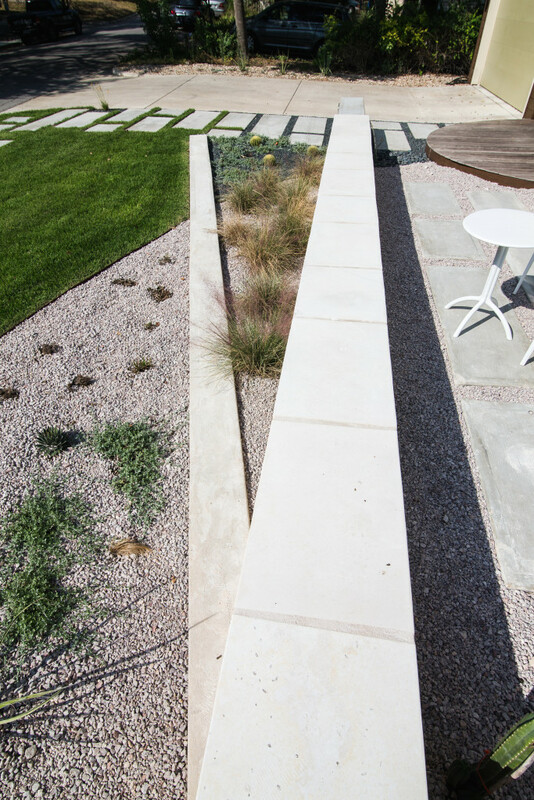 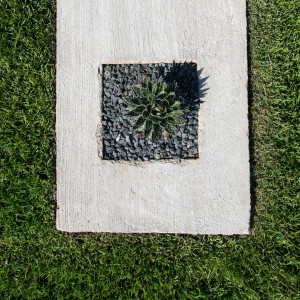 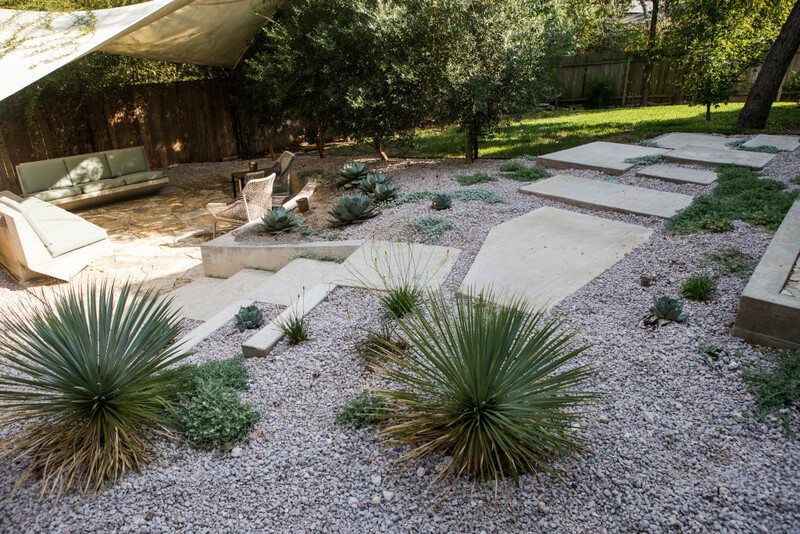 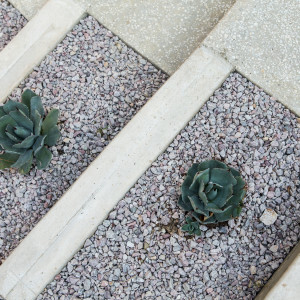 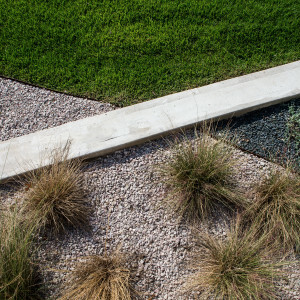 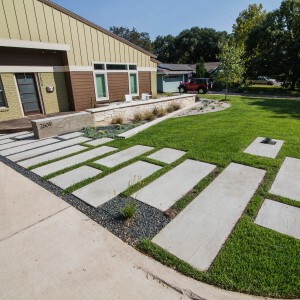 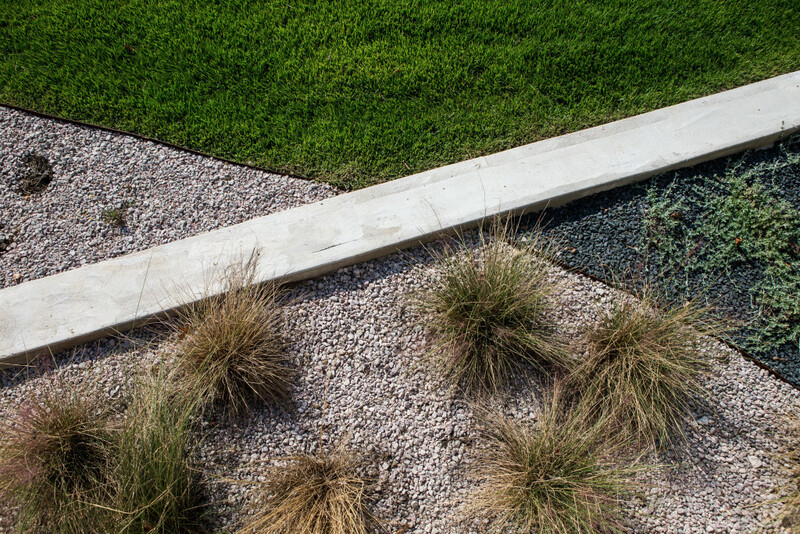 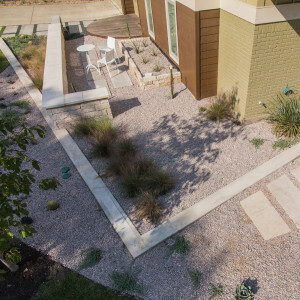 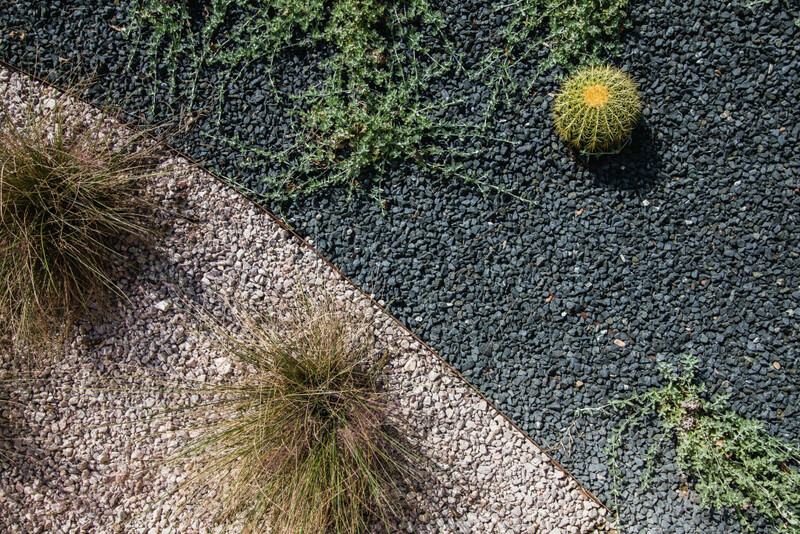 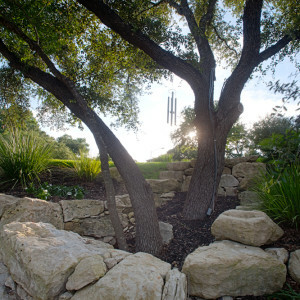 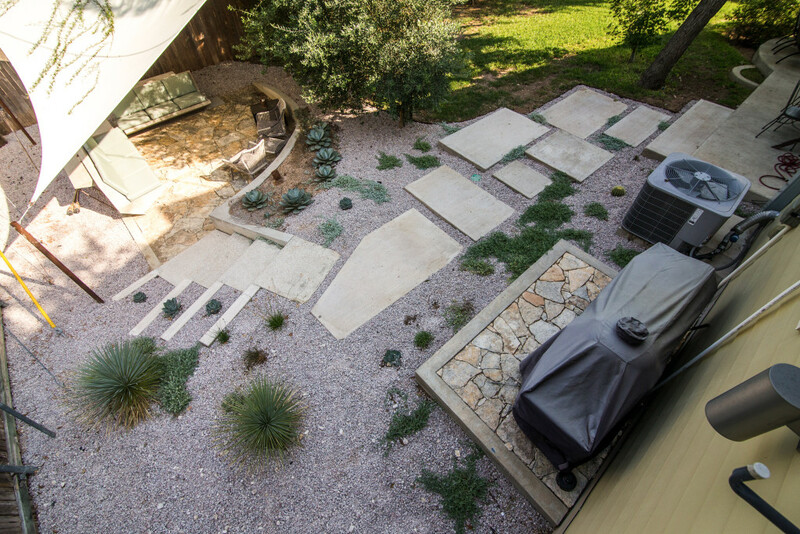 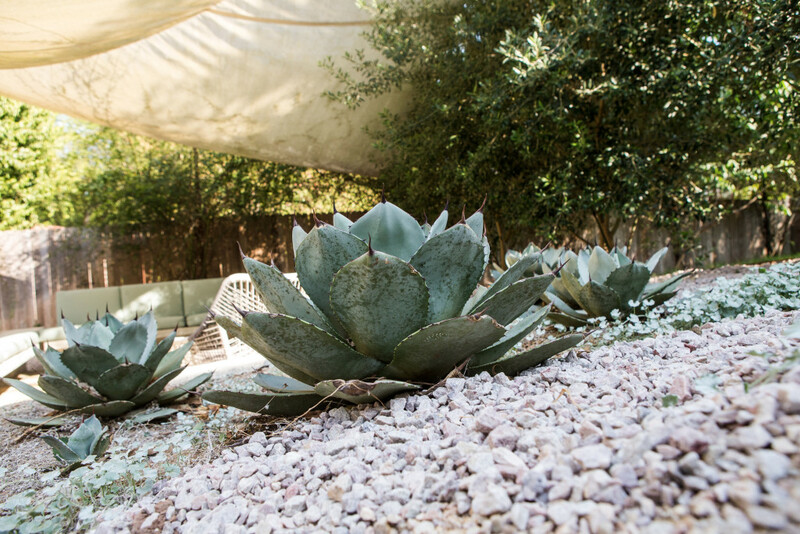 Being situated on a large lot, they felt responsible to create a practical landscape that encompassed a drought tolerant plant palette, and sustainable practices. 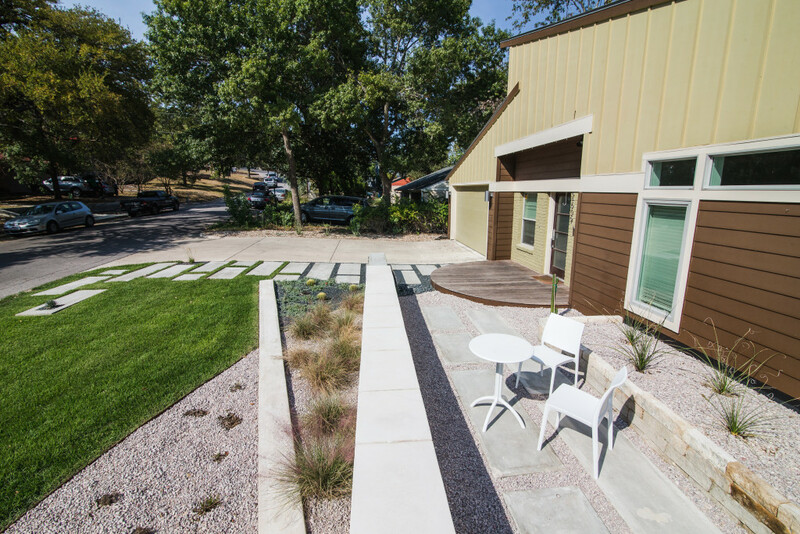 We were able to focus the energy to the entry of the home, welcoming guests with a comfortable courtyard that was open, yet exclusive. 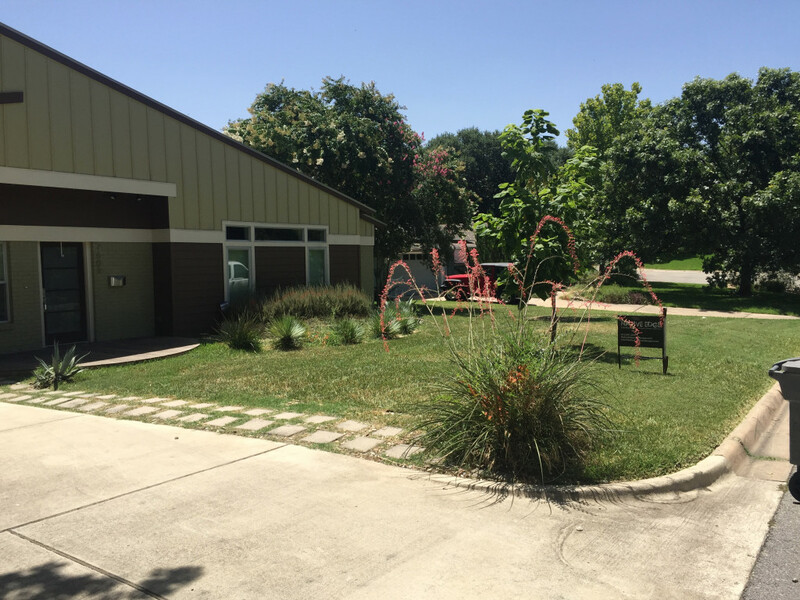 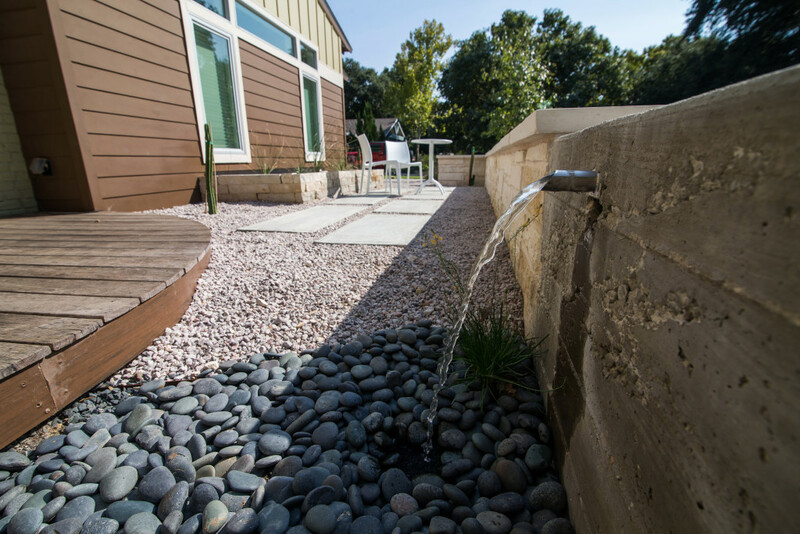 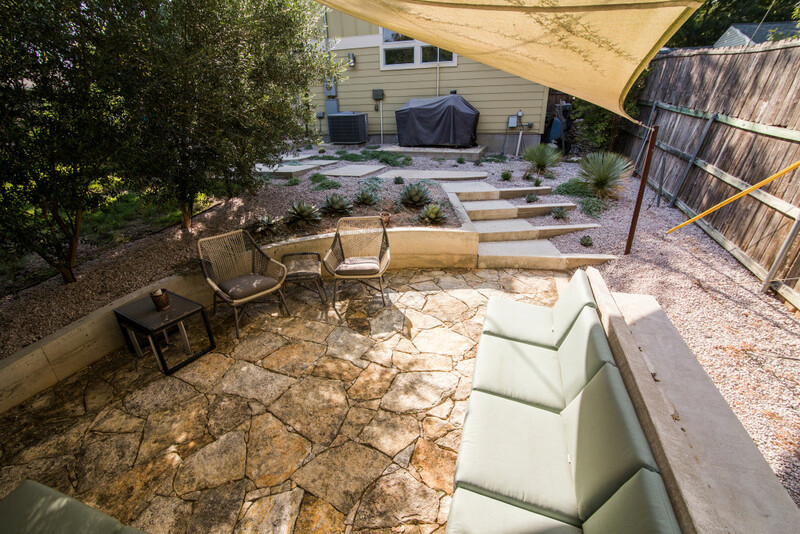 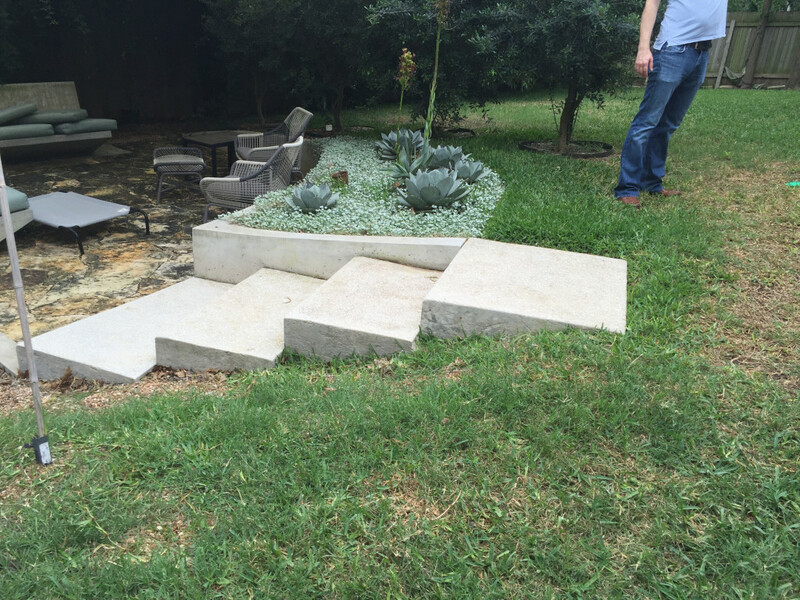 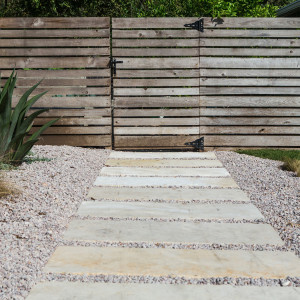 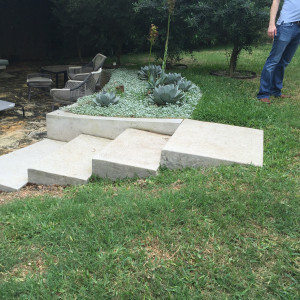 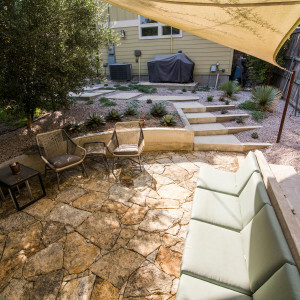 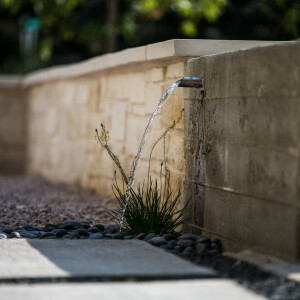 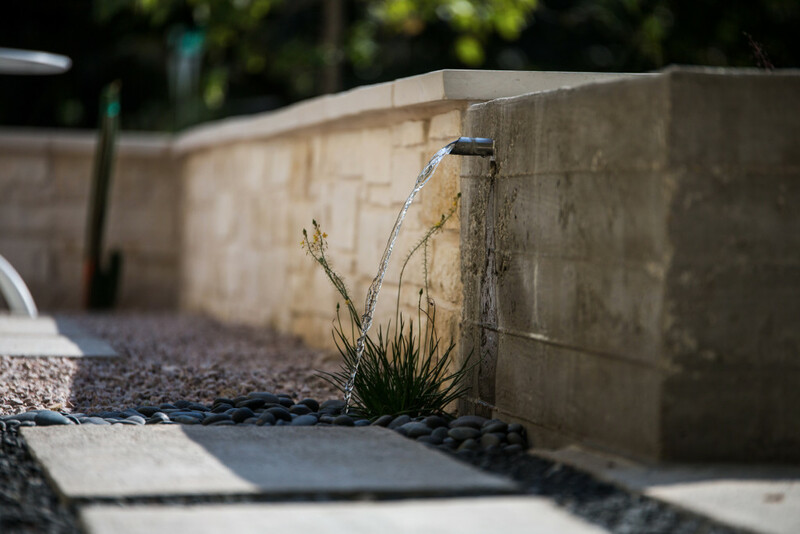 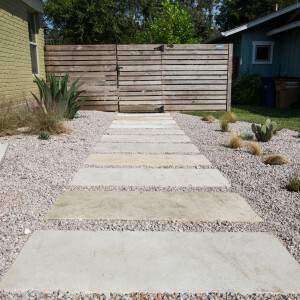 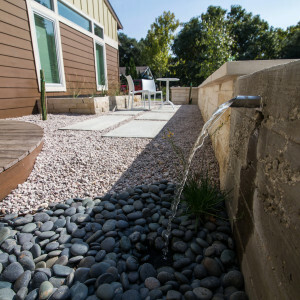 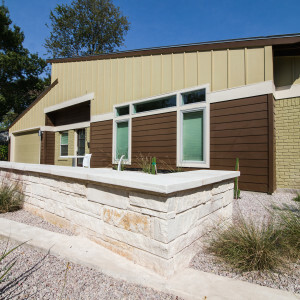 We used a natural limestone, to fit the neighborhood, and a small section of poured concrete to create seating wall with built in fountain to cool down those hot summer nights! 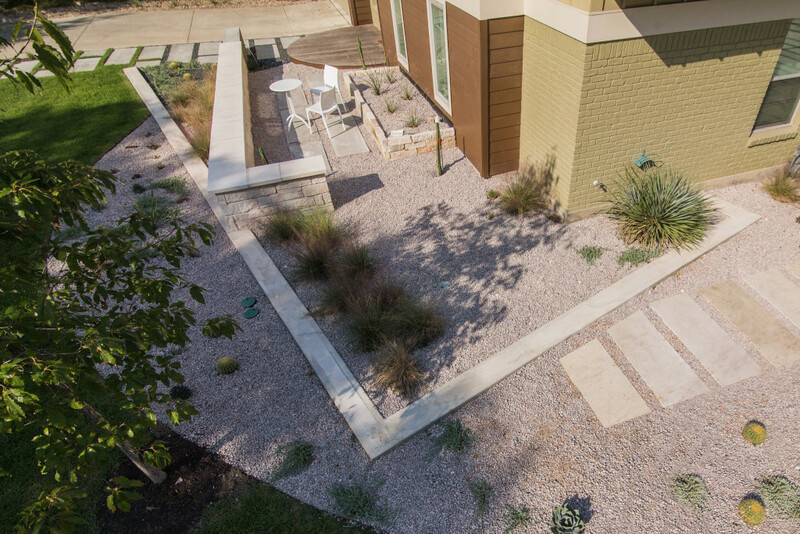 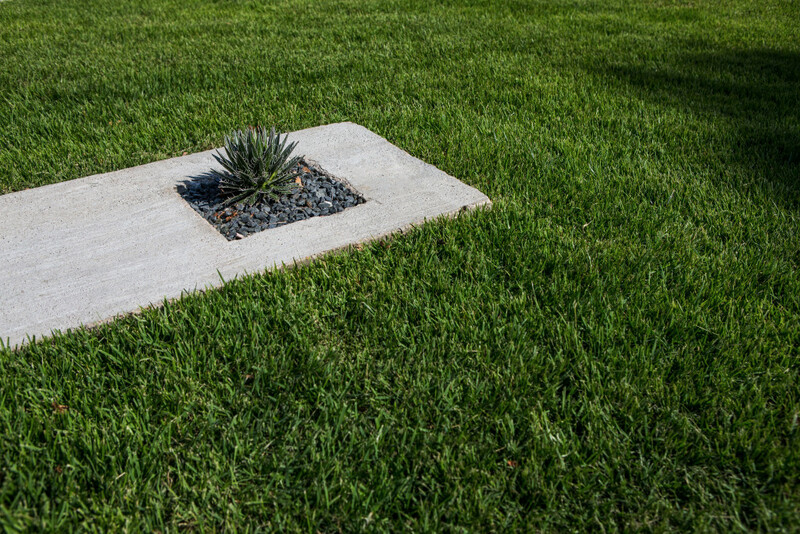 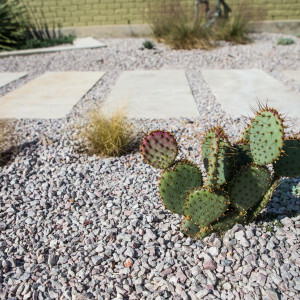 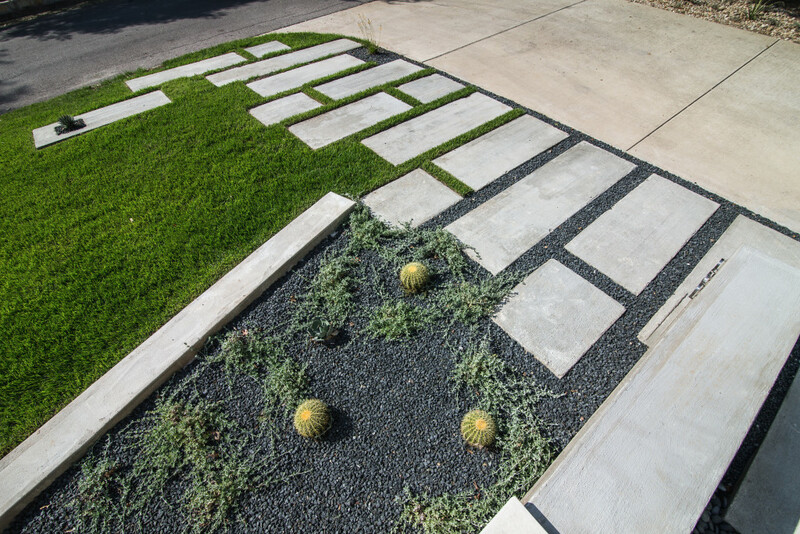 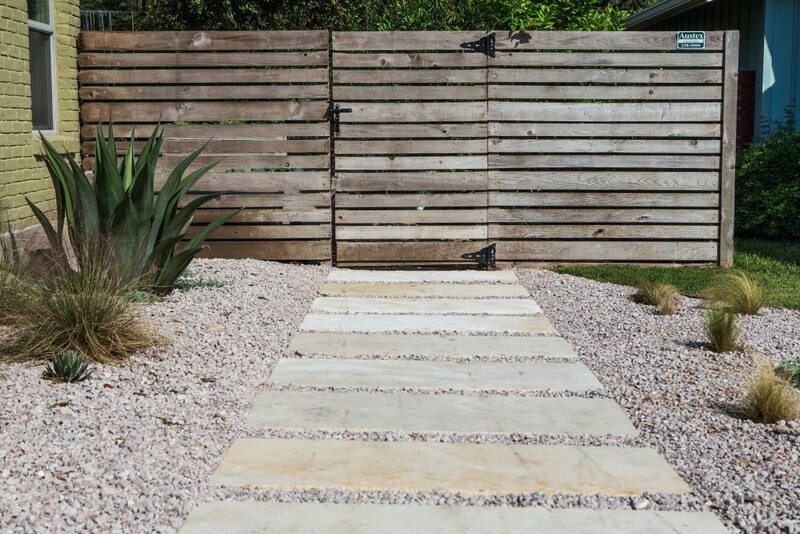 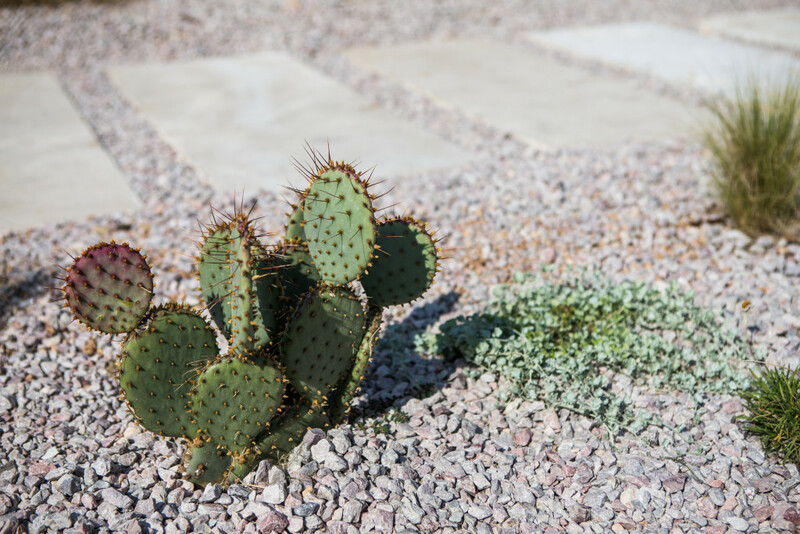 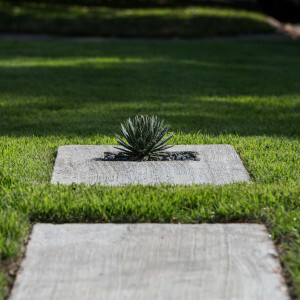 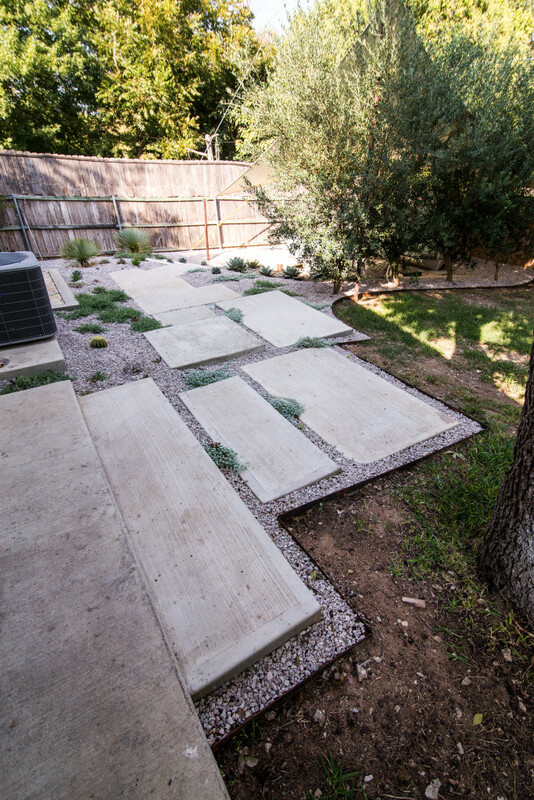 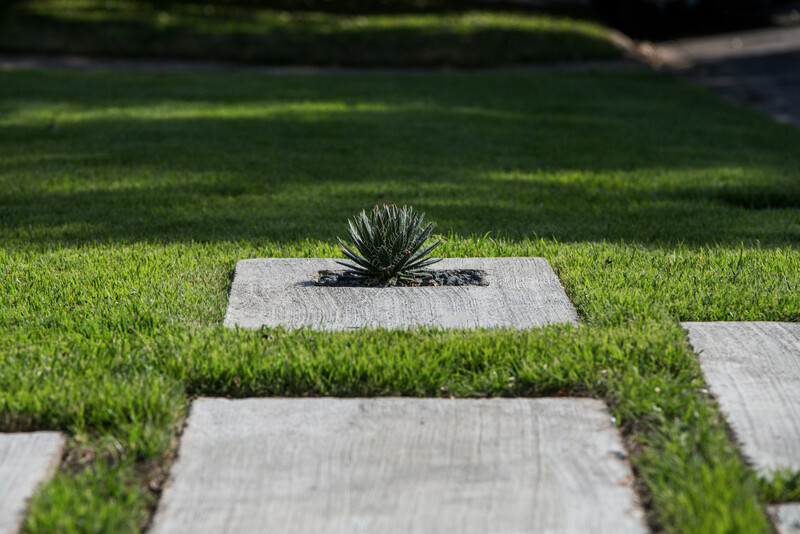 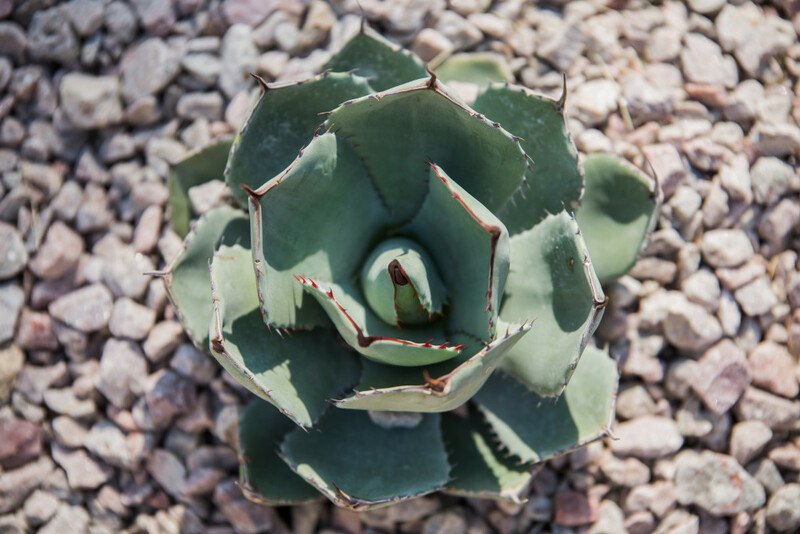 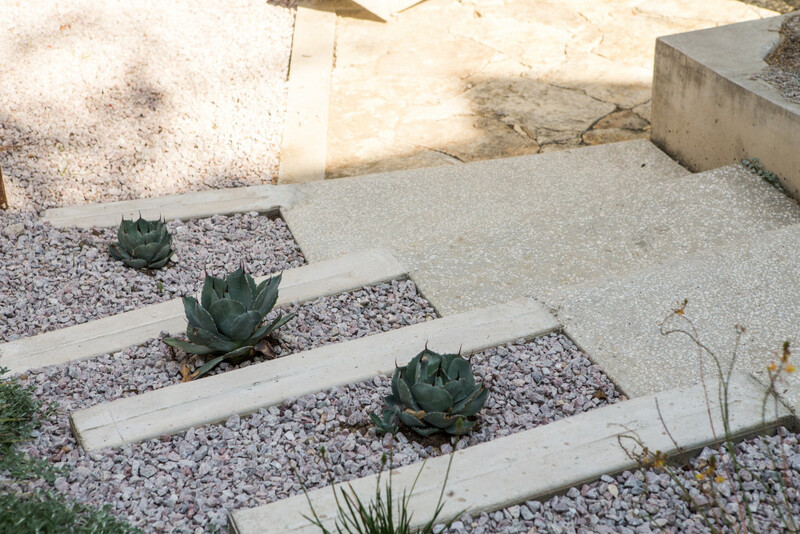 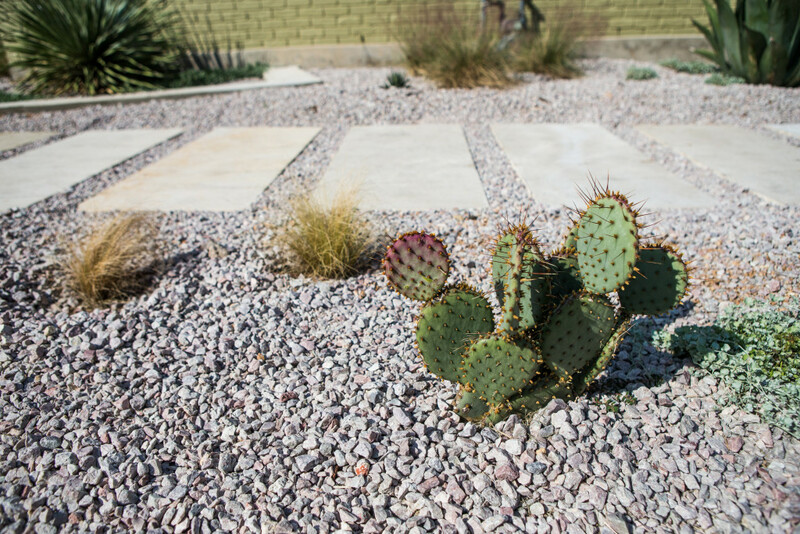 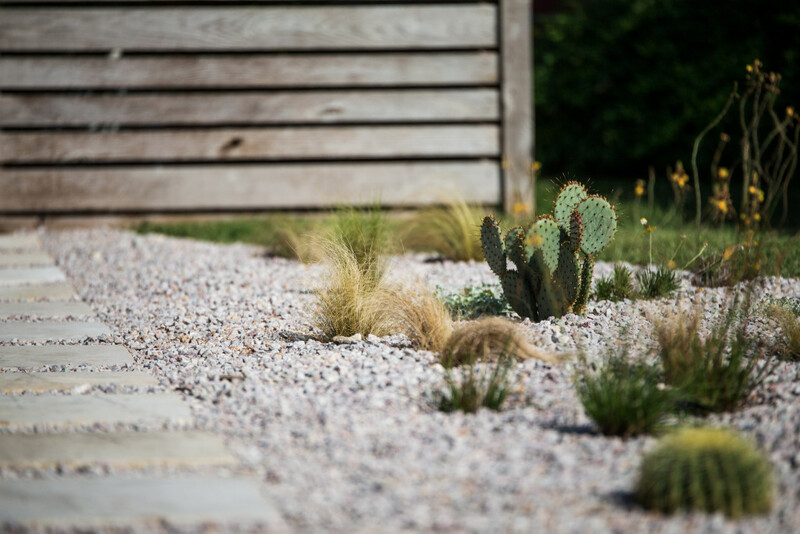 We softened this hardscape with a plant palette that will add seasonal interest with the use of natives, and combined these with sticking Agave for some additional architectural detail. 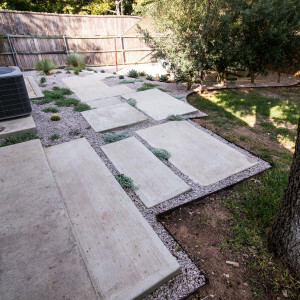 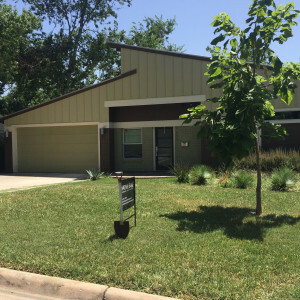 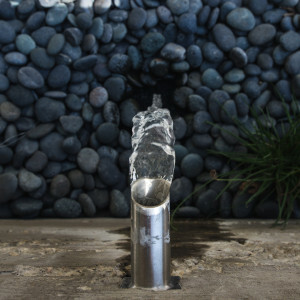 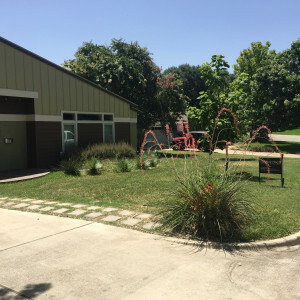 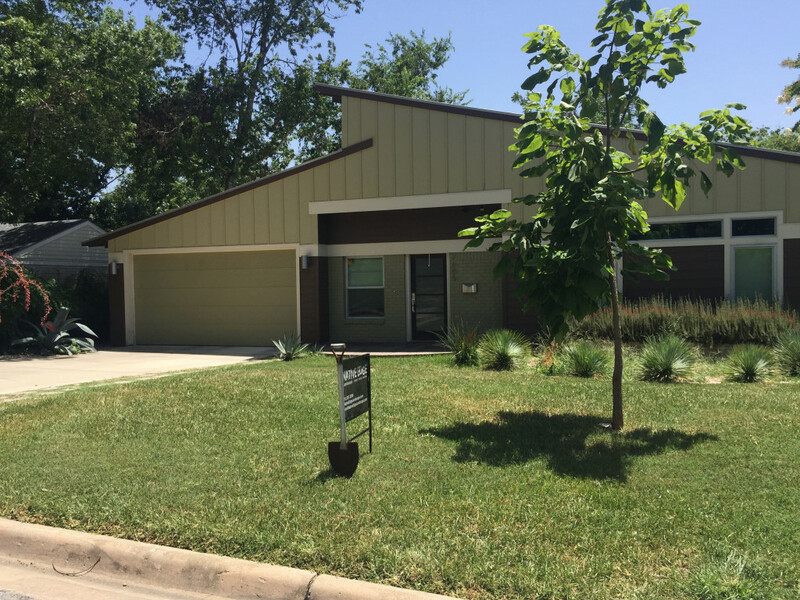 This was complimented with a poured concrete walkway in both the front entryway and backyard to extend the amount of outdoor living. 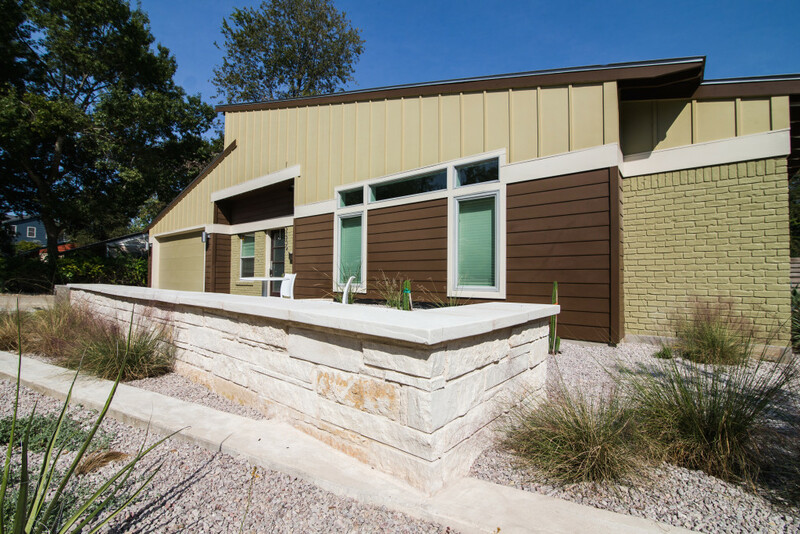 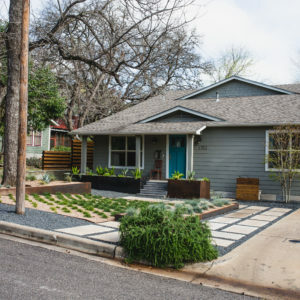 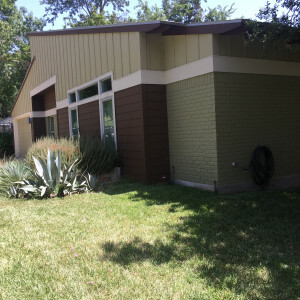 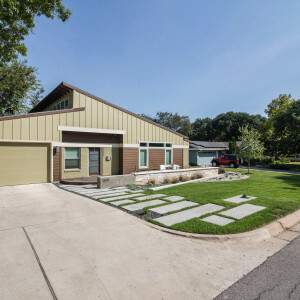 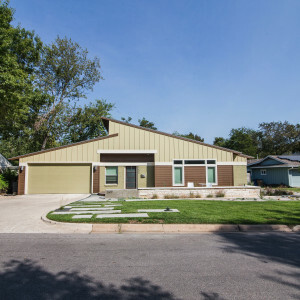 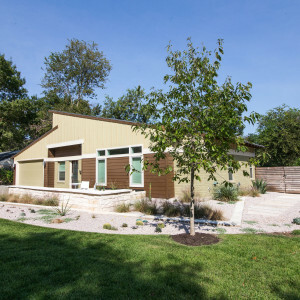 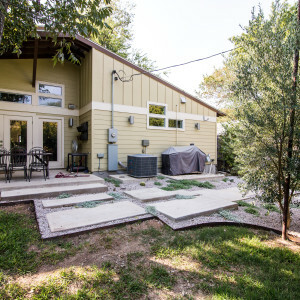 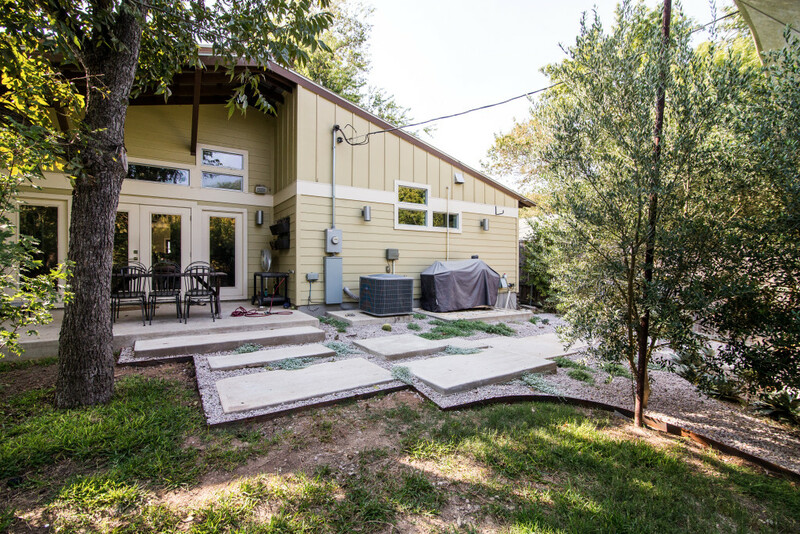 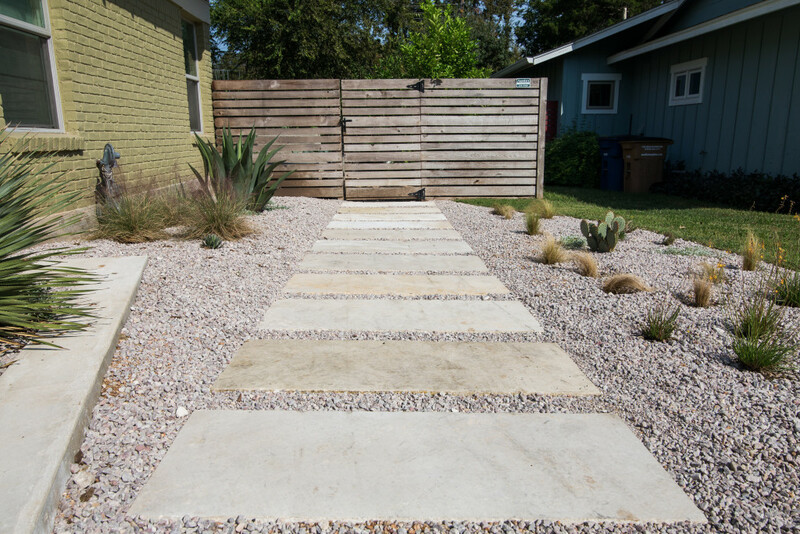 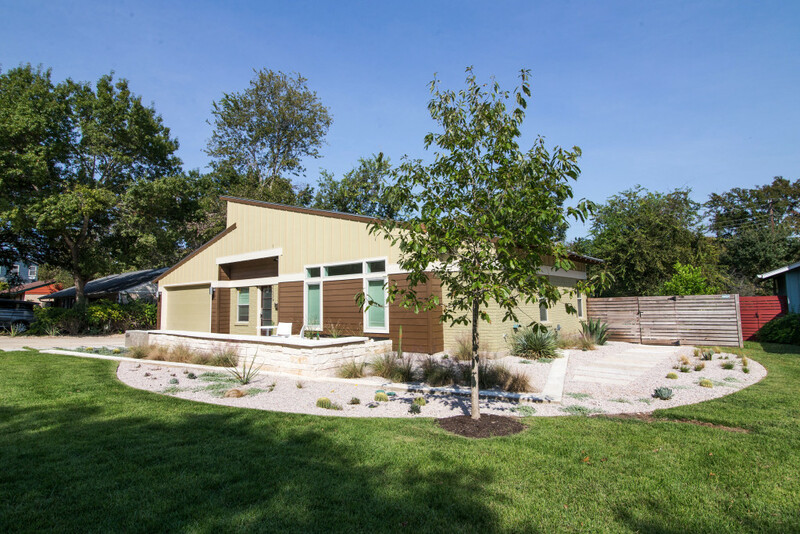 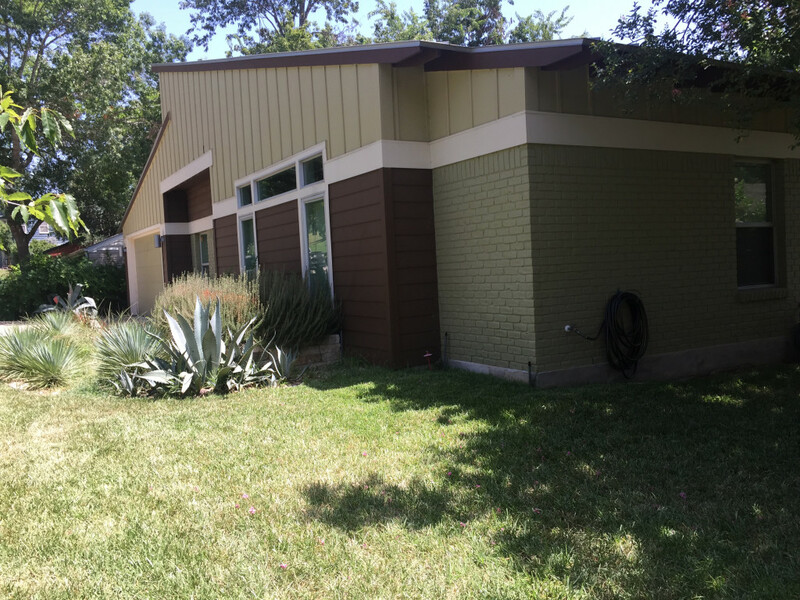 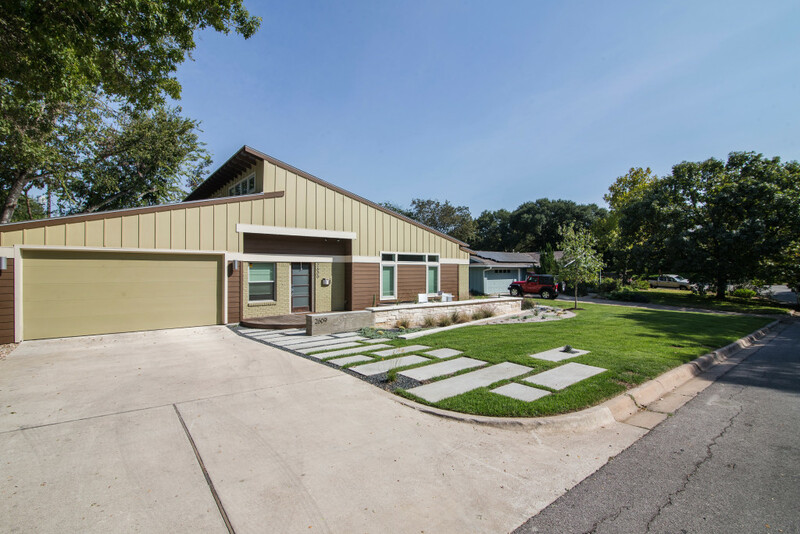 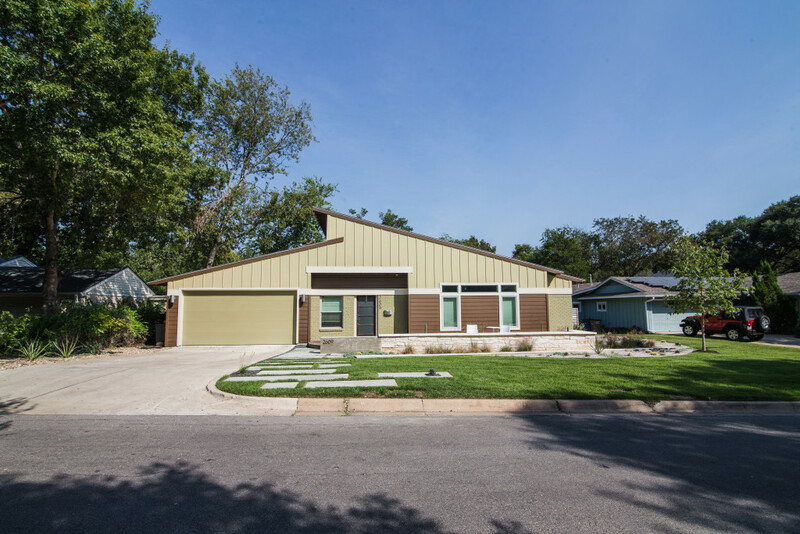 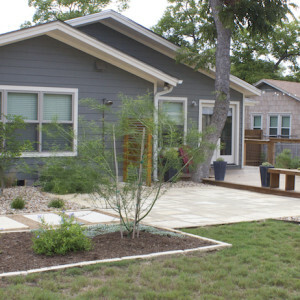 We were able to capture their modern tastes, and blend this seamlessly with the Austin eclectic lifestyle!